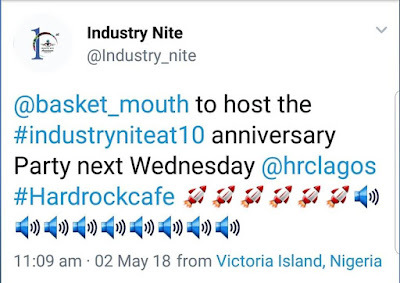 Popular Nigerian comedian, Bright Okpara (also known as Basket Mouth) will be hosting the Lagos edition of "Industry Nite at 10" tour at the Hardrock cafe, Landmark event center, Oniru V.I, on May 9. The party is sequel to the 7-city tour which kicked off sometimes in March with Abuja followed by Ibadan, Calabar, Enugu, Imo and Benin City. 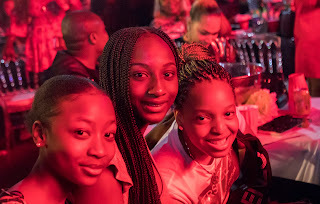 Lagos is where the grand finale is schemed to hold. 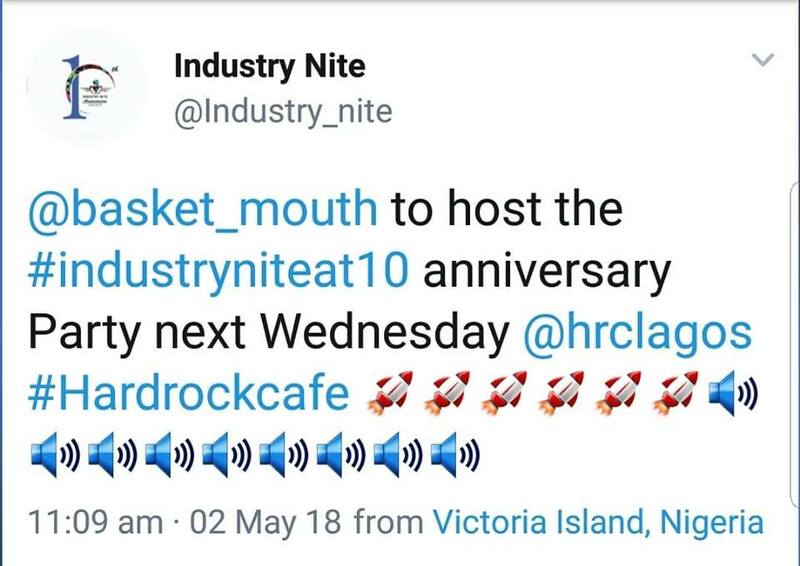 The CEO of El'Carnaval Africa and Executive Producer of the Industry Nite, Matthew OHIO, however revealed this today as well as made it public on his social media posts that Basket Mouth will be the official host at the Industry Nite at 10 party in Lagos amongst the host of other celebrities to feature at the party come, May 9. 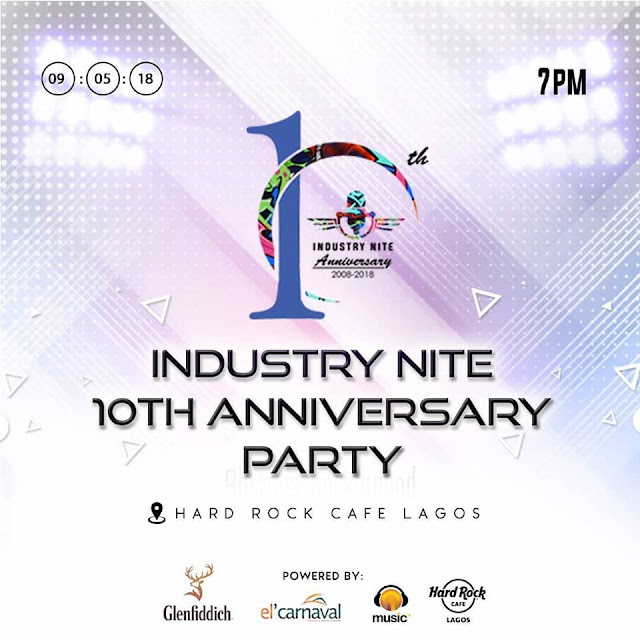 Invitation is free for all.... You can be a part of the biggest party rave organiseed by Elcarnaval Africa to mark the 10th year anniverssary of its biggest weekly show in Nigeria "The Industry Nite" in Lagos on May 9, 2018. 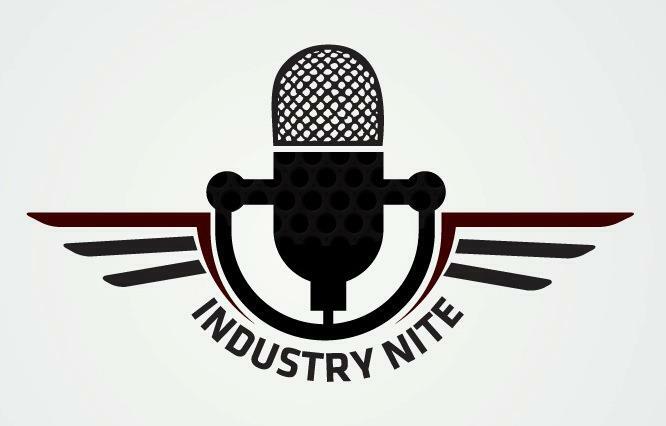 Venue is Hardrock Cafe, Landmark, Oniru, Lagos Island.